Welcome to the Santa Monica Dragons! Thank you for visiting the Dragons Lacrosse and Fire Lacrosse website. 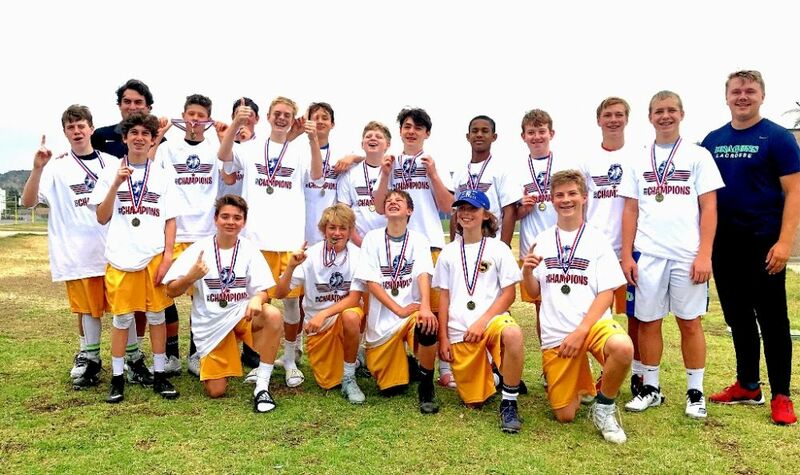 We are a youth lacrosse club that offers everything from beginner sessions, to the most advanced training and competitive travel teams for boys & girls in grades 2 through 12, as well as recruiting support for HS athletes that want to play at the next level. If you're looking to be the best possible lacrosse player you can be, you have found your home. If you are a new family and want to learn more, please visit the BOYS and GIRLS navigation tabs respectively, at the top of this page. We have the following structure for Boys: Dragons (recreational), Dragons Select (advanced youth players), Dragons HS Elite (advanced HS players). We have the following structure for girls: Dragons (recreational), Fire Travel (advanced youth and HS players), Fire NextGen (9th & 10th grade players looking for the highest training), Fire Select (11th & 12th grade players looking for the best training and recruiting support). Each of these programs is explained via tabs in the BOYS and GIRLS navigation. MORE - If you have questions that are not answered on the website, feel free to us directly. When you are ready to register, you can click on the REGISTER button in the upper right. Our registration page contains as many as 15 registrations at a time, so please be sure to scroll down until you see what you are looking for. If you would like to join our NEWSLETTER MAILING LIST, please click HERE. 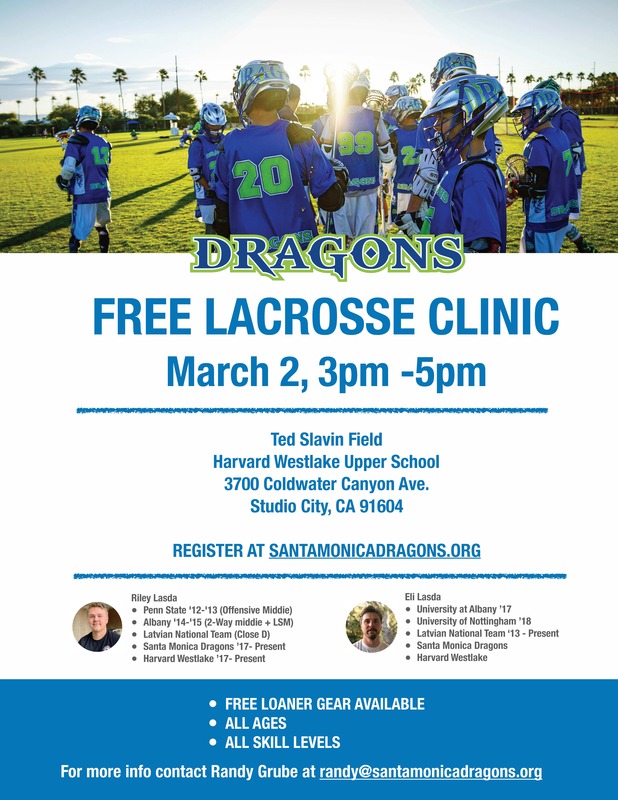 Click HERE to register for the FREE clinic. Dragons Boys & Girls Spring Registration Is Open Early Bird Discount Expires 2/12 - Act Now! For more info visit our Spring Web Page. We hope to see you out on the field this spring! If you have any questions please reach out to @santamonicadragons.org. Go Dragons! Oh, and please follow us on Instagram: @dragonsg_lax and Facebook: @santamonicadragons. Academy of Lacrosse, the umbrella for Dragons & Fire is a 501 c(3) non-profit. Please click the button if you would like to support our efforts and make a taxdeductible donation. Fire Lacrosse is a new force on the girls lacrosse scene. 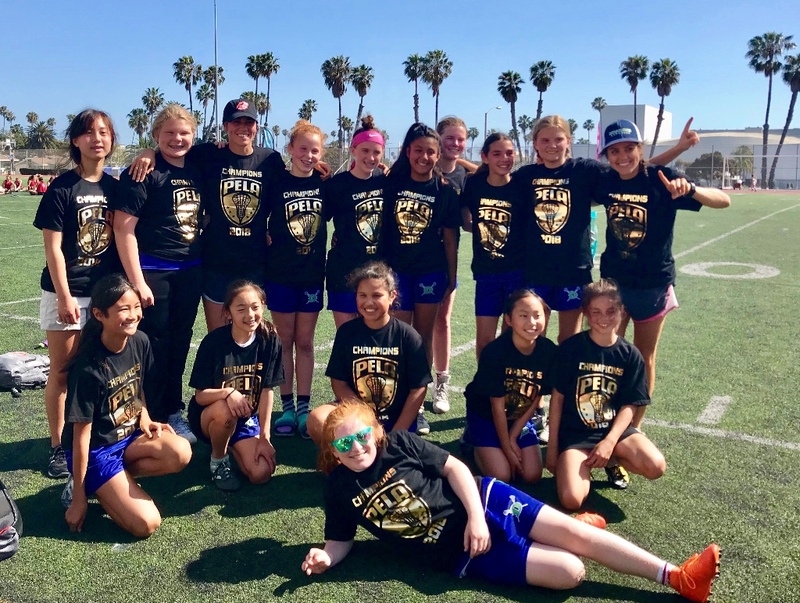 It is the Elite division of Dragons Lacrosse and offers girls dedicated to the sport a chance to play at a higher level and to reach higher goals. Fire is backed by an incredible coaching staff that trains our players, guides them through tournaments and actively supports them in the recruiting process. We have an amazing team environment and a great attitude. Click HERE for more info. Dragons partners with Children's Hospital LA's Sports Medicine program to educate families and train coaches. Dragons is the first West Coast affiliate of Speed Lacrosse.